Spike-It Dip-N-Glo Plastic Worm dyes are specially designed for dipping plastics such as worms, grubs, and even skirts to produce immediate permanent color changes. Scented varieties deeply penetrate the lure to produce a long-lasting scent. Acclaimed by B.A.S.S. 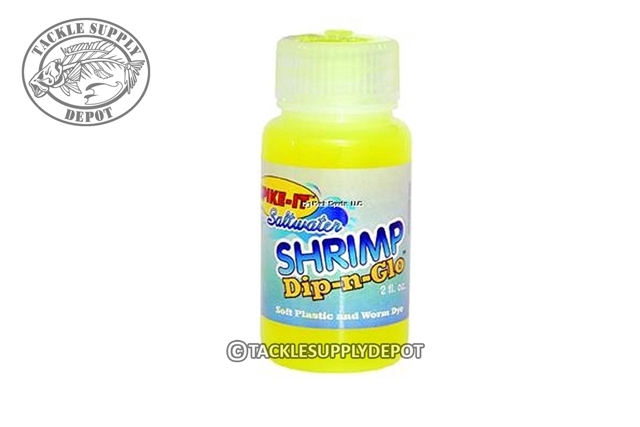 Times and many pro-anglers, Dip-N-Glo Dyes are a mainstay for every serious angler's tackle box. Very good product and outstanding service. I was very pleased with how quick I received my order.